Portfolio, the nation’s leading reinsurance program manager for automotive dealers, wins 11th consecutive top dealer award in Dealers’ Choice Awards for vehicle service contract reinsurance. 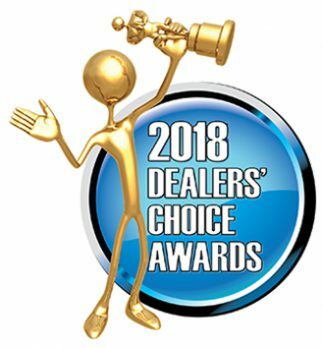 The Dealer’ Choice Awards is national survey sponsored by Auto Dealer Today magazine. Portfolio earned this year’s first place Diamond award, its 4th Diamond in the past 5 years. The survey was conducted over four weeks in May in an audited process where thousands of dealer principals and other dealership personnel scored their satisfaction with providers in 34 categories of products and services. Survey respondents are asked to cast votes only for providers with which they have firsthand knowledge and experience. Readers of Auto Dealer Today and F&I Showroom magazines were reminded regularly to submit their votes. In addition to identifying their primary providers in each category, respondents must rate their providers in four qualities: (1) the product or service provided; (2) customer support and service; (3) the overall value for dollars spent; and (4) whether the dealer would recommend the provider to another dealer. The quality of the votes is weighted more heavily than the quantity in order to level the field for smaller providers. The complete results and analysis will be featured in the Q4 issue of Auto Dealer Today. The complete list of winners can be found here. All award winners will be honored this year at the Industry Summit in Orlando, Florida, October 8-10.